Bree poses in our cabin. Sunrise in the outskirts of Ulan Bator. 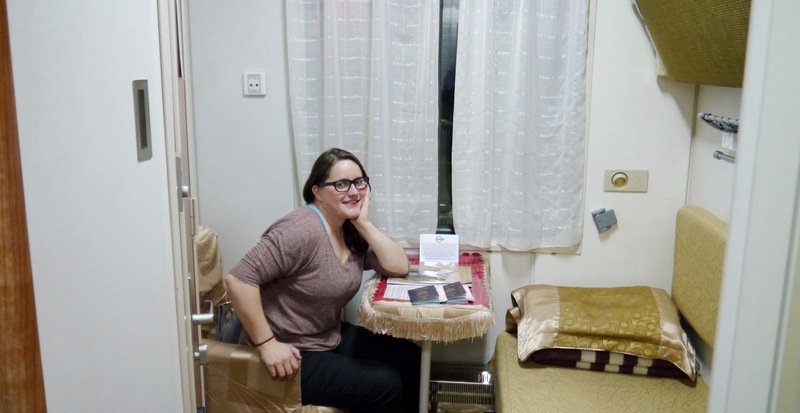 Beers in the restaurant car. 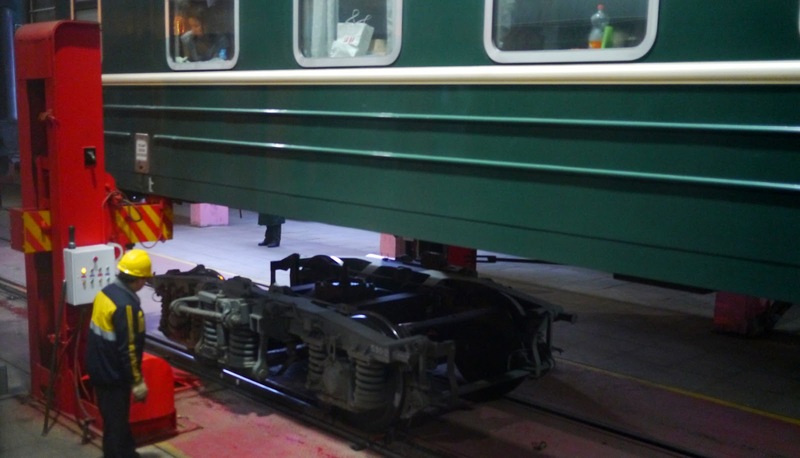 Changing the bogies near the Mongolian-China border. The mountainous landscape of Inner-Mongolia. 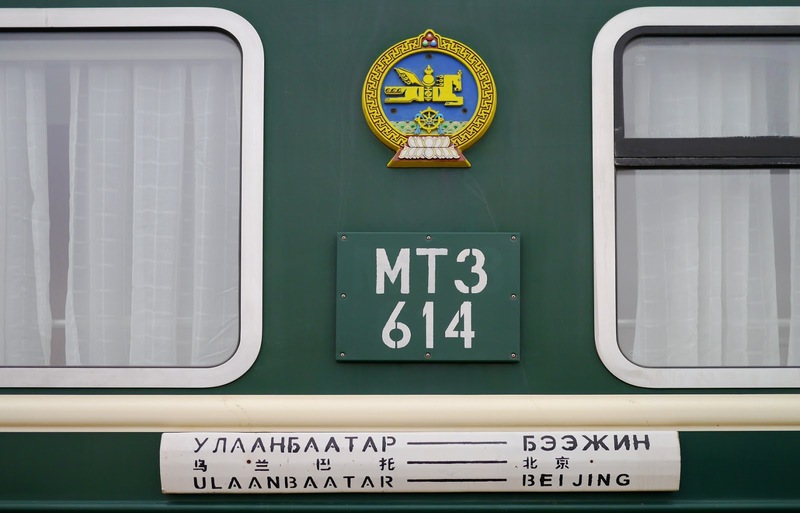 The train from Ulan Bator to Beijing gave us the taste of long-haul train travel that we missed out on by making several stops along the trans-Mongolian route. This leg clocked in at around 30 hours. We got on the train as the sun was rising. 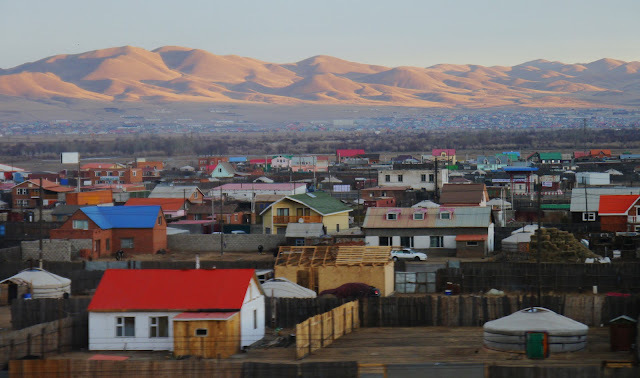 Once out of Ulan Bator, we passed through hilly, then flat expanses of empty landscape. Then er entered into the even more desolate Gobi Desert, which lasted for hours. At around 7pm we started the almost 5 hour process of crossing the Mongolian-China border, which included changing the 'bogies' (wheels) on all of the train cars (Russia & Mongolia have different tracks from the rest of the world). When we awoke the next morning we we're gliding through the snow-covered mountains of the Inner Mongolia region of China. The mountains Passed and the land flattened out and quickly the buildings got larger and more condensed as we approached Beijing, Once again impressing ourselves, we navigated the bus and short walk into the hutong (a traditional condensed back-alley neighborhood) to the hostel we are staying at.